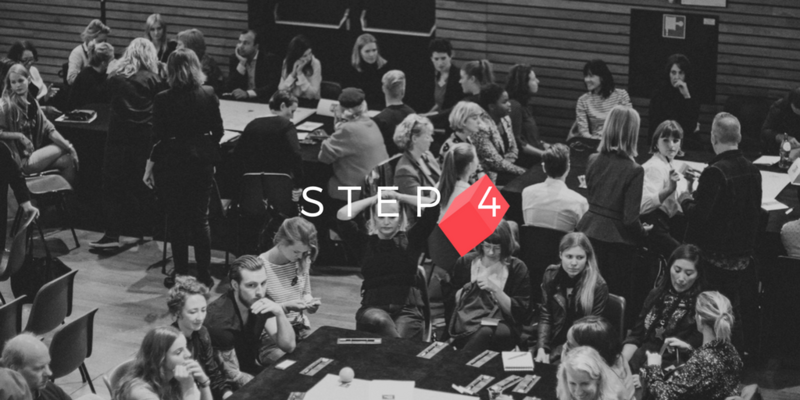 This is the fourth step of our 5-step plan to circularity. Catch up on step 1, step 2, and step 3 first. Consumers have never been in a better position to leverage their agency in influencing the brands around them. As they increasingly take on even more of an active role on the way to a circular economy — remember that they’re the ones to become suppliers to closed-loop systems and hence essential agents in retrieving precious resources -, it is more crucial than ever for brands to actively educate, engage, and empower these consumers on their journey to circularity. Doing so provides them not only with the opportunity to reinvent the narrative around sustainability (and circularity! ), but, more importantly, to effectively redesign, strengthen, and improve the brand-consumer relationship so it no longer revolves around empty promises, but value. Mindlessly complicit at worst, an educated and empowered consumer, on the other hand, could drive the transition to a circular economy- so why have similar enterprises failed in the past? Sustainability initiatives abound and have been trying — and failing — to appeal to the mainstream consumer for as long as they have existed- and not for lack of goodwill. Global consumers are increasingly aware of the socio-environmental impact involved in the products they buy; they not only expect brands to act responsibly, but they are also willing to forego some of their own convenience for the sake of the greater good. Getting them to act on these good intentions, however, is a different story. Greenwashing. Companies have long misused and abused marketing and communications strategies to make unsubstantiated claims about and adorn their commitment to sustainability, undermining their relationship with their consumers in the process, breaking their trust, and causing widespread cynicism over eco-labels and other certifications and standards meant to signal a company’s good corporate citizenship. Green marketing myopia. Good marketing understands and satisfies customer needs first and foremost, and marketing sustainability is no different- only it also comes with environmental perks. Green marketing myopia occurs when these environmental benefits are overemphasised at the expense of customer needs, and unfortunately, as of now, few brands have succeeded in framing their sustainable value propositions beyond simply being sustainable- emphasising collective, planetary benefits instead of individual ones, and oftentimes forcing the consumer to compromise between functionality, cost efficiency, and environmental responsibility. When a socially responsible product comes at a fraction of the functionality and at double the cost- the choice is easily made. The mainstream consumer often makes an easy target. However, the onus should not be on them to wade through the unattractive and lazy marketing, the greenwashing, and the systematic lack of resources they need to translate good intentions into appropriate purchases and behaviours. This is where the creative industry comes in. These are the creatives, marketers, and communication gurus that have sold us everything from washing machines to the American dream, and circularity is finally offering them the exciting opportunity to do away with traditional narratives and reinvent the way we communicate and think about those brands that are good for people, profit, and planet. Because where sustainability has long focused on doing less- emitting, producing, consuming less — circularity challenges us to do differently. It reimagines, rather than restricts, the way we consume, and opens up new venues for brands and consumers to interact and redefine their relationship. By prioritising access over ownership, for example, circular business models afford brands additional touch points to renew and strengthen their relationship with their customers. Akin to the connection library card holders build with their local library, leasing, rather than buying, provides brands the opportunity to build an emotional connection with their consumers unlike any other, ensuring continued loyalty from “an increasingly fickle audience”. So how should we communicate circularity? How do we overcome these barriers, and how do we redesign the brand-consumer relationship to revolve around trust, and value? And use storytelling to your advantage. The decision to return resources back to the supply chain starts with awareness. Many consumers, however, are still unaware of the embedded value of resources in clothing, and as such may never become the loyal suppliers brands will rely on in the future. Educating these consumers is critical to the transition, but it is also the opportunity for brands and marketers to finally unsubscribe from the guilt-inducing, patronising, and boring narrative that’s become a cornerstone of the way we talk of environmentalism. Circularity is exciting, and we need to translate the exciting possibilities it offers businesses into equally exciting creative campaigns and equally exciting stories. Perhaps best to look to for inspiration are those brands working towards destigmatising topics like menstrual health: Thinx and Yoni, for example, are both making great strides in opening up the dialogue and turning the tide over the long-standing and widely accepted narratives on periods- with humour, beautiful aesthetics, and content that educates, entertains, and doesn’t bore. Be bold, vulnerable, and transparent. And share both your ambitions and your limitations. As customer relationships continue to prove more valuable than traditional brand power, it is important for brands to learn how to lay bare both their accomplishments and their shortcomings. In a marketplace where “consumers demand transparency as the return on their emotional and economic investment in a brand”, authenticity and honesty in sharing a brand’s ambitions and successes as well as its limitations and failures is no longer optional if a brand is to regain and retain its customers’ trust. Some of the largest companies are already doing it- to varying extents. When TOMS’ original buy-one-give-one model came under scrutiny, for example, they commissioned a study to evaluate the true social impact of their business model, openly revising their strategy along the way. Apple recently committed to the bold objective of using 100% recycled materials to make its iPhones, Macbooks and other electronics products, openly admitting to a lack of a roadmap but holding themselves accountable to the public. Beyond brand value and consumer loyalty concerns, admitting to our weaknesses and owning up to our mistakes will allow for other key players to openly engage and contribute to the industry’s efforts to move towards circularity. While honesty, authenticity, and transparency are all important values to commit to, ultimately, even those consumers who are aware of and acknowledge the need for their purchases to reflect their values won’t always compromise convenience and functionality for a guilt-free purchase. So what gives? And put your consumer first. In fact, some even argue that responsible products can only be successful if consumers perceive their attributes as better than those of conventional products. Rather than relying on consumers’ goodwill to pay a premium for less-than-functional products, brands should adopt a consumer-first approach in creating circular products, keeping their consumer needs in mind at every step of the loop.